From the Sorrento's motorcoach landing terminal we will begin with our transfer to Pompeii. The journey to Pompeii is highly recommended as it features the remarkable ruins of the city buried under the ash of Mt. Vesuvius. You will enter the fabled city of Pompeii through the Sea Gate as you experience a walk down the cobbled street to the Agora, surrounded by temples, porticoes, and law courts. It was the religious, civic and business center of the city. Because Pompeii was so well preserved, you can see many fine details that reveal the lifestyles of the residents, such as mosaic floors and colorful frescoes in some of the homes.As you wander through this ancient city, you can't help but notice the still-active Mount Vesuvius towering above. 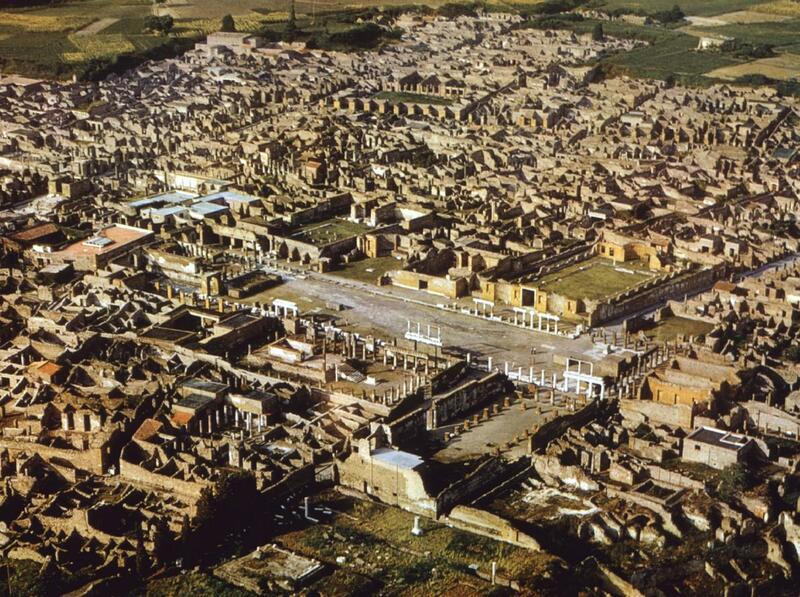 A visit to Pompeii is one of the musts of any visit to this area. After the tour to Pompeii, we will proceed along the Amalfi Coast to Positano. Pass through the gorges of the Furore Valley and across the rocky slopes of the Lateran Mountain. Travel the Amalfi Coast, considered one of the most beautiful coastal drives in the world. Wander the streets of one of its popular villages. You will have the opportunity to sample Southern Italian cuisine and shop for souvenirs and majolica ware. (meal not included) Depending on traffic conditions as the roads are narrow and winding, your drive along the stunning Amalfi Coasts includes a stop at one of the following villages: Amalfi, Maiori or Minori. Explore the village and shop for handcrafted majolica ware, an Amalfi Coast specialty since the Middle Ages. On return to Sorrento, you may choose to return to the pier or remain in town for independent exploration. You are then responsible for your own return to the pier ( a short walk).